To those of you who enjoy ordering risotto at restaurants but are somewhat hesitant to make it at home, I hope this post will convince you to think the other way around. 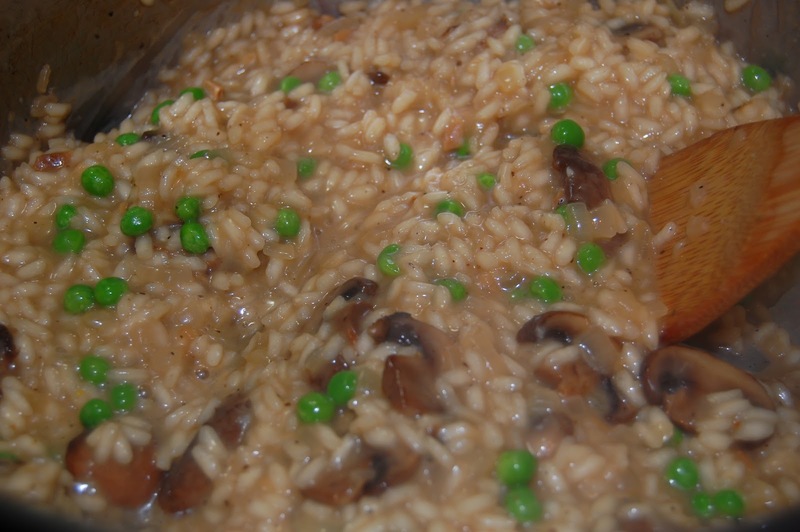 Home cooks are often under the impression risotto is a laborious and tricky affair, best left to professionals. Not true! 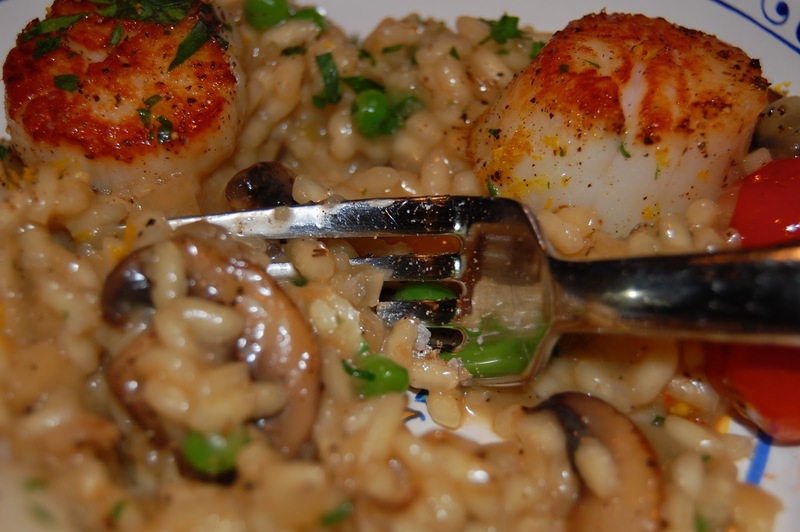 In fact, it's simple to make at home, and I've yet to have great risotto at a restaurant. I think the main problem is timing, since this is a dish that's best eaten the moment it's ready. 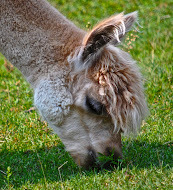 Try cooking it ahead, or holding it through a dinner service - as restaurants are wont to do - and you're apt to end up with a gluey, overcooked mess. Restaurants may try to disguise these ills by adding lots of cream or butter, but that results in another dish altogether. To me, the whole point of risotto is to coax rice and broth into a rich, saucy union without relying on cream or butter. 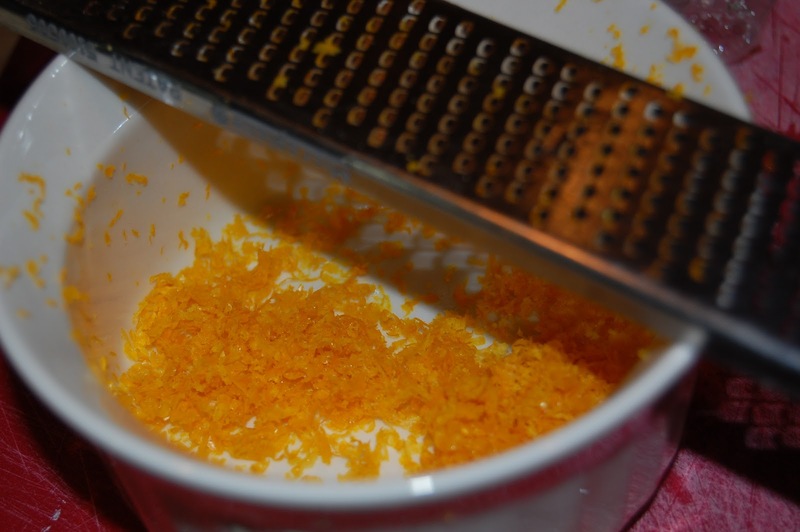 Certainly, these things, and well as grated cheese, may be added as flavorings, but a properly made risotto does not depend on them. As far as technique goes, all that's required is a bit of patience and a willingness to stir. While this dish obviously shines when fresh wild mushrooms and peas are in season, dried porcinis and frozen peas are respectable substitutes, and provide a welcome taste of spring in the dead of winter. Scallops make this a meal without being complicated or competing with the main event. They're easily seared just as the risotto is nearing completion, and are topped with a sprinkling of parsley and grated lemon zest just before serving. 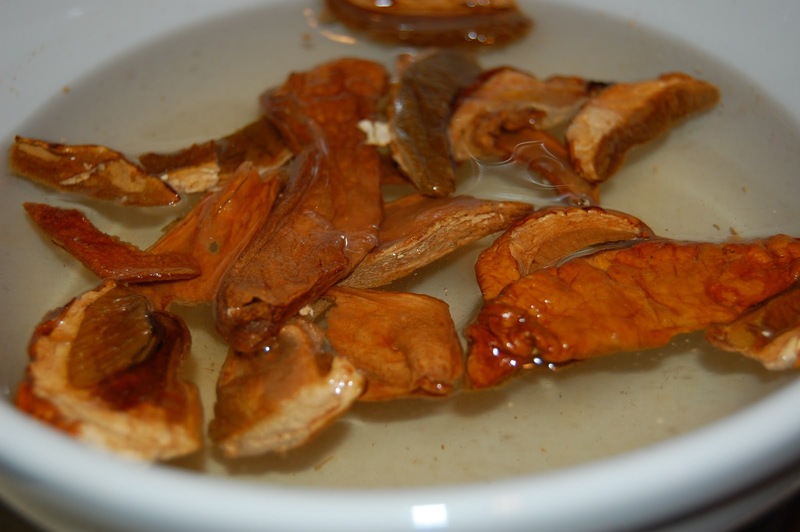 Place dried mushrooms in a soup bowl; cover with 1 cup warm water. Allow to soak 1 hour, or until soft. 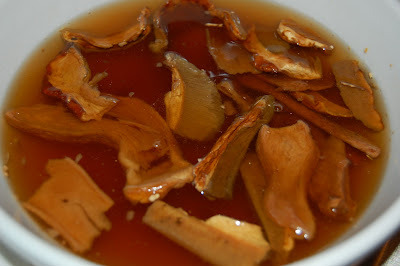 Skim mushrooms off surface of liquid and coarsely chop. Strain soaking liquid into a medium saucepan, being careful to leave any sand or grit behind. Add 5 cups chicken broth to mushroom liquid in saucepan and bring to a simmer over medium high heat. Turn heat down to medium low and cover to keep hot. Rinse scallops well; check each one and remove any tough muscle straps (as shown below) that may be attached. 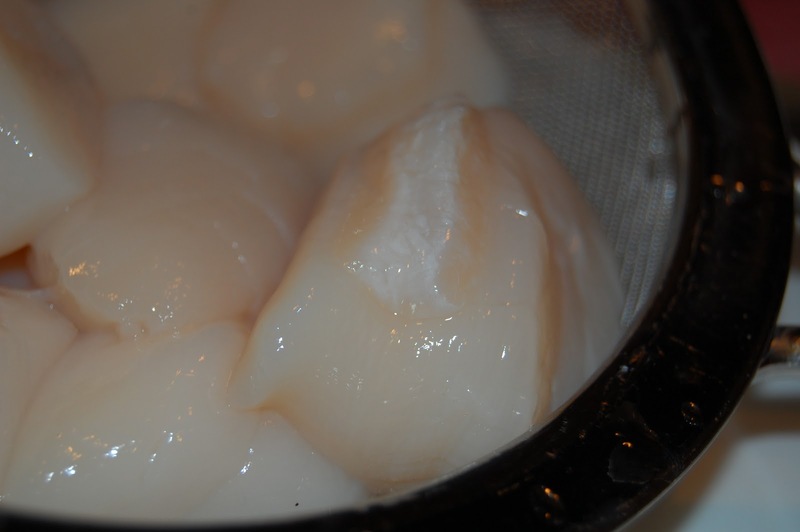 Spread scallops out on paper towels and dry well. Heat 1 tablespoon olive oil in a dutch oven over high heat. Add fresh mushrooms and saute until browned. Remove mushrooms from pan and set aside. Heat 2 tablespoons olive oil over medium high heat in same pan and saute onion and garlic until softened, about 4 minutes; add chopped porcinis and stir to combine. Add rice and stir over heat 3 minutes. Add vermouth and stir until vermouth is absorbed. 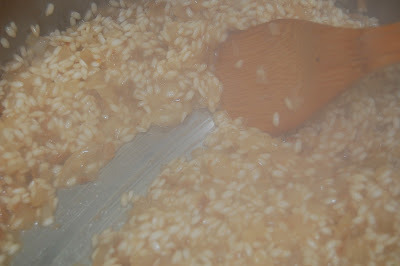 Begin adding hot broth to rice, 1/2 cup at a time, stirring continuously until liquid is absorbed before adding more. When rice is just slightly underdone and you have about 1 cup of broth remaining, add peas, sauteed mushrooms, half the lemon zest and half the chopped parsley. 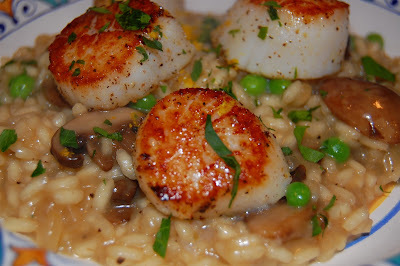 (In the meantime, begin to cook scallops as directed below.) Continue as before until rice is soft but slightly chewy and a thick glossy sauce has formed. Check the seasoning and add salt and freshly ground pepper as needed. 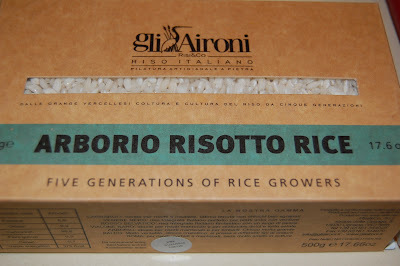 *If you prefer a richer risotto, now is the time to add butter or grated cheese, stirring well to incorporate them. 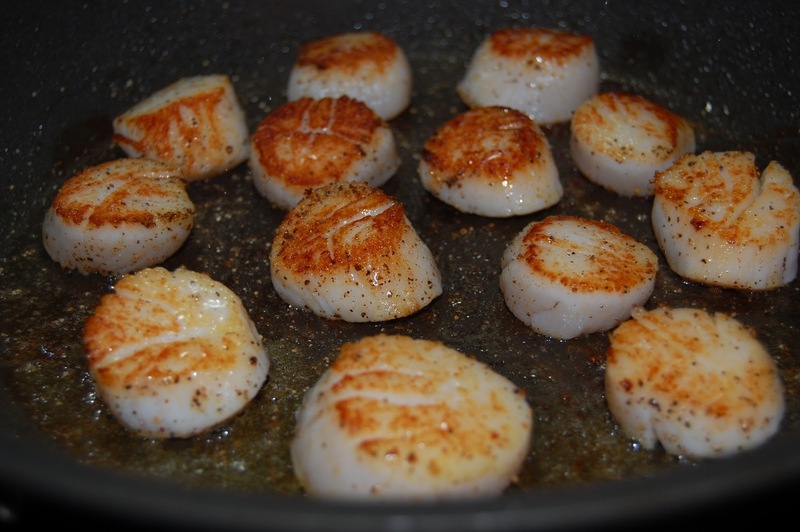 To cook scallops: Heat 1 tablespoon olive oil in a saute or frying pan over high heat. Add scallops and cook about 2 minutes or until well seared. Season scallops with salt and freshly ground pepper. Turn scallops and repeat on other side, searing quickly but being careful to not overcook. Scallops should be ready just as the risotto is nearing completion. Place risotto in large bowls. Top with scallops. Garnish with chopped parsley and grated lemon zest. Serve immediately. 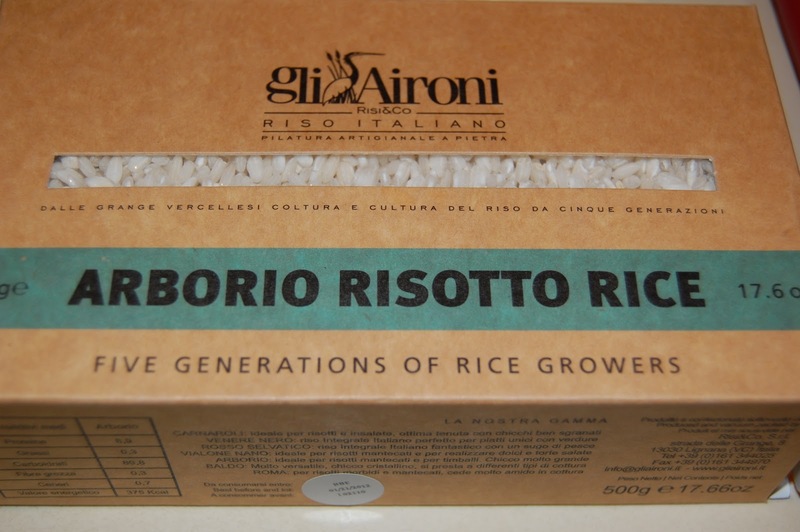 Since rice varies, you may not need to use all the broth or you may need to augment with a little extra. Judge by level of doneness and consistency of "sauce." 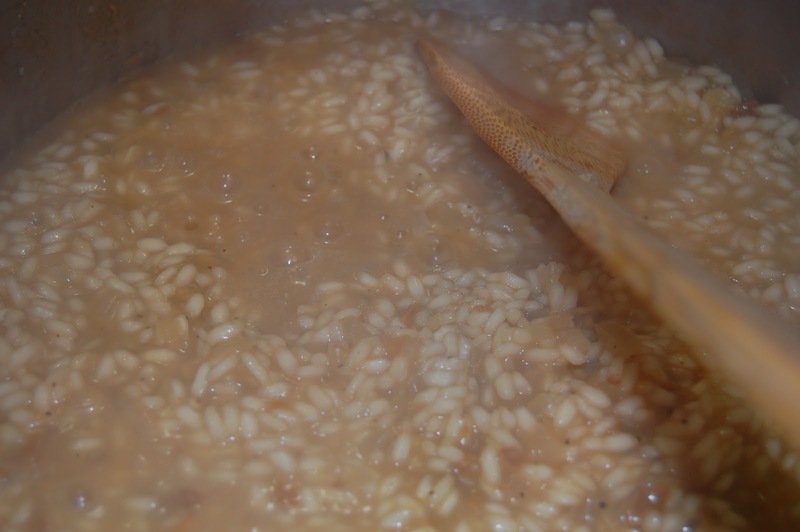 Ideally, risotto should be just soupy enough that it doesn't hold a distinct shape when mounted on a plate; it should creep across the surface. Wow! 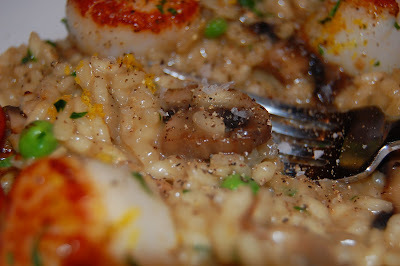 My new favorite risotto recipe! I held the scallops and swapped veggie for chicken stock to make a vegetarian version. The vermouth adds a nice flavor. Fabulous!